Cymdeithas Hanes Blaenpennal was established in 2011, to record the history and culture of Blaenpennal and Bontnewydd. Members meet regularly to discuss aspects of the history of the area and have invited many speakers to their midst. It was a prime objective of the Society to record their findings in a book for the benefit of future generations. The “Mynydd Bach – Ei Hanes – Its History” book, which was published in the autumn of 2013, refers to the migration of vast numbers from the area to the United States in the nineteenth century, the story of the War of the Little Englishman, the influence of a number of poets from the area, the success stories of businesses old and new, from sock making in the nineteenth century to the modern-day international story of Tŷ Nant water, the location of Sali Mali’s home at Pentre Bach, as well as dealing with the traditions, culture and buildings of the area. 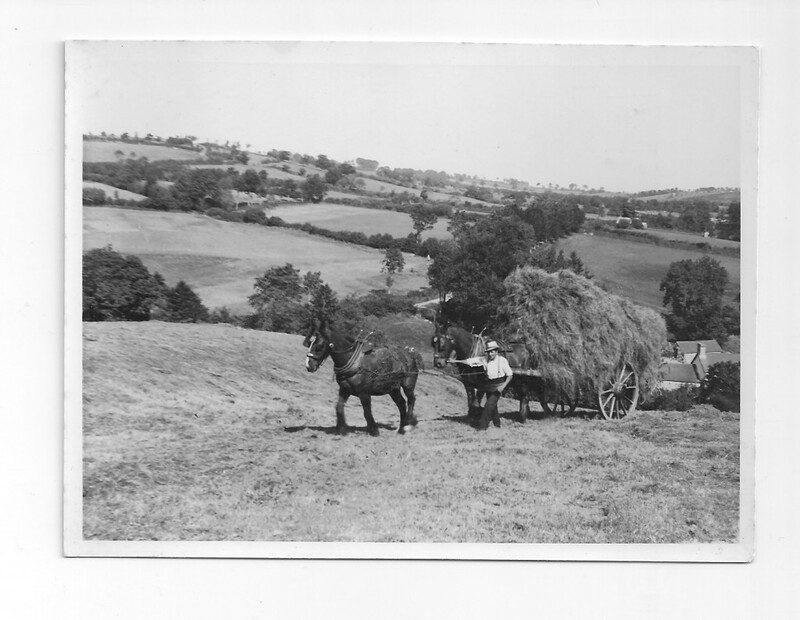 Accompanying the text are old photographs of the area collected by local people and professional photographs of this stunning landscape in mid Ceredigion from renowned photographer Marian Delyth. There were over a hundred contributors to the Book, so it was a truly community project. The area covered by the Book was the villages of Blaenpennal, Bontnewydd ( Blaenafon ), Lledrod, Bronant, Bethania, Penuwch, and Llangwyryfon. The book is available from local bookshops and direct from the Society at £15 + p&p. The Society is continuing with further research into some of the subjects covered in the Book, and will be holding member meetings during, September, October, and November, February, March, April, May covering various subjects, with invited speakers, and from within the membership. We are aiming to record meetings so that they can be made available to those members unable to attend, and add to our archive material. We are a voluntary, self funding, non profit making organisation, so have limited resources, and depend on members carrying out research in the subject which interests them, whether it is their own ancestors, aspects of the culture, or traditions, crafts, and buildings of the area. However we try to share this information between members, as one member’s research will often produce information of use to other members. We already have members outside the area, including some in the USA. We are joining the Ceredigion Local History Forum, which we hope will provide us with new sources of information. If you would like to join us ( the subscription is just £5 per year ) please fill in the details below and send to us at the address below, with a cheque payable to Cymdeithas Hanes Blaenpennal.